Lunchtime Yoga at Grand Park. Credit: Brian Champlin / We Like L.A.
You know what’s handy? Waking up in the morning, firing up your phone/computer and being able to scan a super quick (but curated) rundown of the best of what lies ahead. So here it is, our list of fun things to do in Los Angeles for today, Wednesday, April 17, 2019. 4. [6 p.m.] Amoeba Music in Hollywood welcomes Cayucas for a signing and performance of their new album, Real Life. 6. [7:30 p.m.] Bruce Dern Double feature: Family Plot & Black Sunday in 35mm at the New Beverly Theater. 8. [various] Stacks House an experiential pop-up designed to promote financial independence for women opens its doors this Wednesday. A visual Instagram experience, attendees will walk through money-themed rooms that aim to give the viewer financial inspiration for the future. Open Wednesday through Sunday. 9. [various] Rancho Santa Ana Botanic Garden located in Claremont welcomes Wildflower Week April 13 through April 21. The nine-day celebration of California’s wildflowers will feature annual displays of California poppies, baby-blue eyes, lupines and much more. In addition, there will be an art exhibition, cocktail parties, guided tram tours and more. 10. 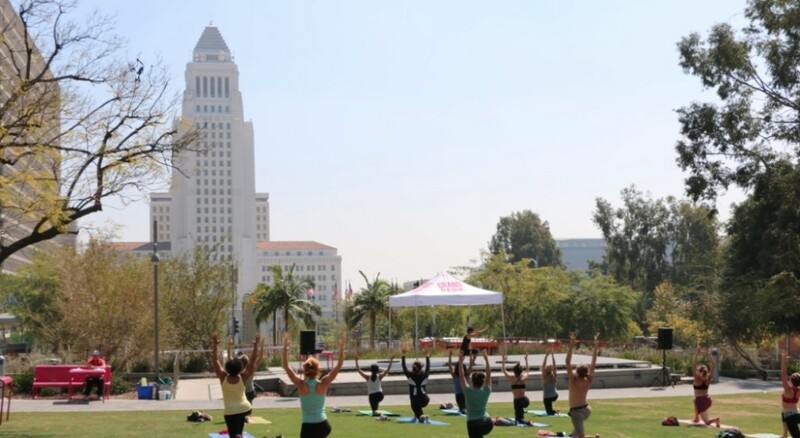 [various] Spa Week returns to Los Angeles April 15-21 for its biannual celebration dedicated to improving personal health by simplifying wellness. Every April and October for one week only, hundreds of spas and wellness locations across North America will offer two or three full-service treatments for just $50 each.